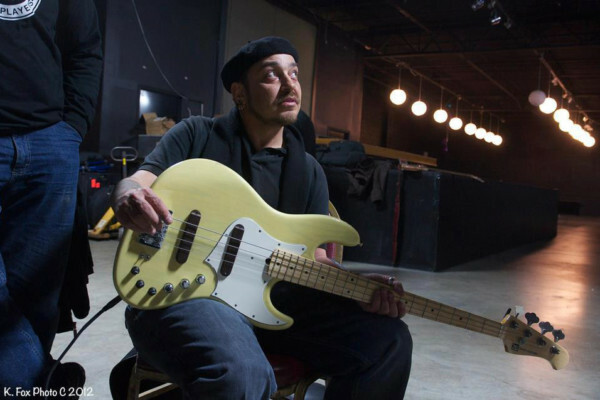 Extended range bass artist Scott Fernandez is pushing musical boundaries. Equally comfortable on a 4-string as well as his 12-string, Fernandez incorporates his extended techniques to create lush harmonies, intense counterpoint, and intriguing melodies. His arsenal of effects pedals also help to create thick soundscapes while adding depth to his compositions. Fernandez only stepped out into the solo bass arena a year ago, so we reached out to get more about his background, his style, and what he’s up to. How did you discover your new school style? I discovered my way of playing through a series of mistakes. I started off on the upright and I had no idea what I was doing on the electric. When I asked a guy at the new high school I was sent to “how do you play bass” he responded by telling me to use my thumb as a pick. I think it was a bit of confusion due to my thick accent or something because I found out later that he was talking about his style of slap bass in particular. It was too late and I’ve been slapping and tapping my way around ever since. Also, that fella from my high school is a friend of mine named Evan Brewer. I play all kinds of gigs. When I began this journey as a solo artist, I decided that I would never be too good to play a venue or with a band. I will play dive bars and sweaty metal clubs, jazz caves and outdoor stages… I play street corners and concert halls. I never say no. I am heading out on the road with an artist named Felix Martin coming up in September but aside from that I play solely as a solo artist. I will pick up a random jazz gig or country gig if I need some extra cash but it’s very few and far between. For me, it’s all about getting the music recorded and taking my freak show on the road. I am hoping that everyone enjoys it everywhere I take it. I don’t know what happens next in the musical process but I am hoping to be able to take this is as far as a solo artist can take it. Not too terribly much. Thank you for taking the time to have me involved in your wonderful publication. I’ve only been a solo artist for a year and the amount of support and acknowledgement from fans and people involved in the industry has been overwhelming. I promise to continue to do my best. That 12 string tune is crazy cool bro! I’m very glad you dig it, friend! What on earth is that 12 tuned to? That’s sweet man. I’ve often considered getting something just for tapping like a chapman stick or something, but I think I would be vastly more comfortable on an instrument like yours. Awesome playing, man. Keep it up! Scott Fernandez said I was the most handsome man ever. Just saying ;). Great to see him getting the recognition he deserves! Scott said it. It’s official! Dude, an 18 string? I want to see that! Me too… It’s being made by @[1162327429:2048:Prat Basses] and there are pictures already up on it’s completion. It should be done soon. WHEW! Too many strings for me. Buddy has got some nice skills but I wouldn’t call that monster of an instrument is a bass guitar. Totally right ! what you hear is what you are, musical instruments are just means of expression, that’s the difference between praticing an instrument and beeing an artist…. The 12 string stuff is really beautiful, the 4 string stuff sounds more like an impressive drum solo. Killer stuff though! Very musical, Scott. A beautiful instrument and beautiful technique. Rock on, homie! Thank you for taking the time to check out the work. I’ve had the pleasure of meeting Scott a few times, not only is he an amazing player, he is one of the most humble and all around coolest dudes I know. Rock on Scott best of luck! 18 strings?? How about I build you three four strings, one five string and then a 1 string??? 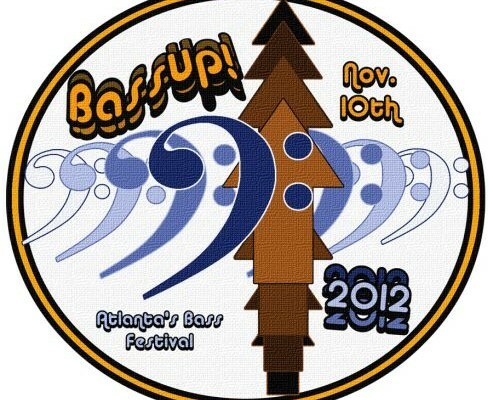 It’s a 6 String Triple Course =) Also, I’ve been wanting one of your basses for at least a year now… SOON!!! that’s what I say cool, now you have built up the expectation, will wait for more and more… carry on the awesome work. how much do the 12 and 18 string weigh?